I am home again from Auckland where I was inspired three day conference Inside-Outside, a Case for the Book, organised by the New Zealand Association of Book Crafts. Californian book artist, teacher and publisher Julie Chen and master design binder Dominic Riley were dynamic keynote speakers at the conference and the whole event was an inspiration and a delight. 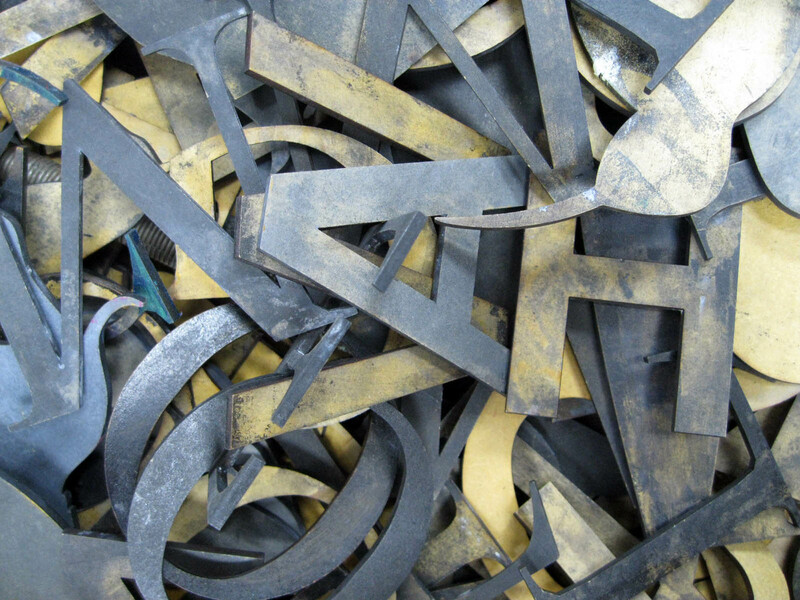 I ran a workshop titled Finding Content in the Print Room of the Auckland University of Technology Art and Design department on the Monday morning following the conference. Eleven of us spent three hours together playing, sharing and experimenting with ideas and images. 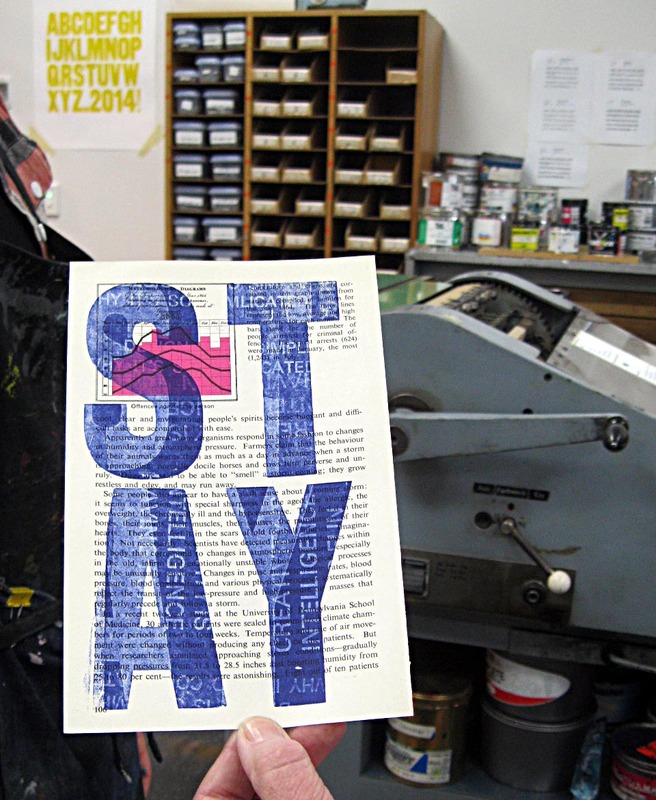 We all took full advantage of the AUT presses, colour copier and wooden type to make images for our own artists’ books. 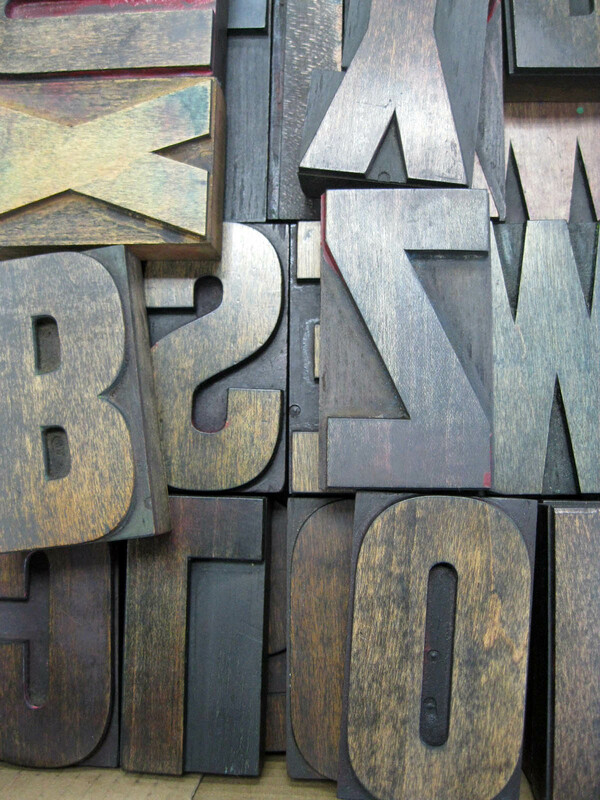 Wooden type at the Auckland University of Technology. Sandy’s print of wooden type over found text. I demonstrated techniques for hand-making stamps, mono prints and a book called the Australian Piano Hinge. 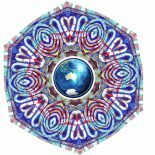 Valerie Forbes, a book artist from Victoria Australia, discovered it in a book by American book artist Gwen Diehn and introduced it to me. Hannah embarking on her first book. 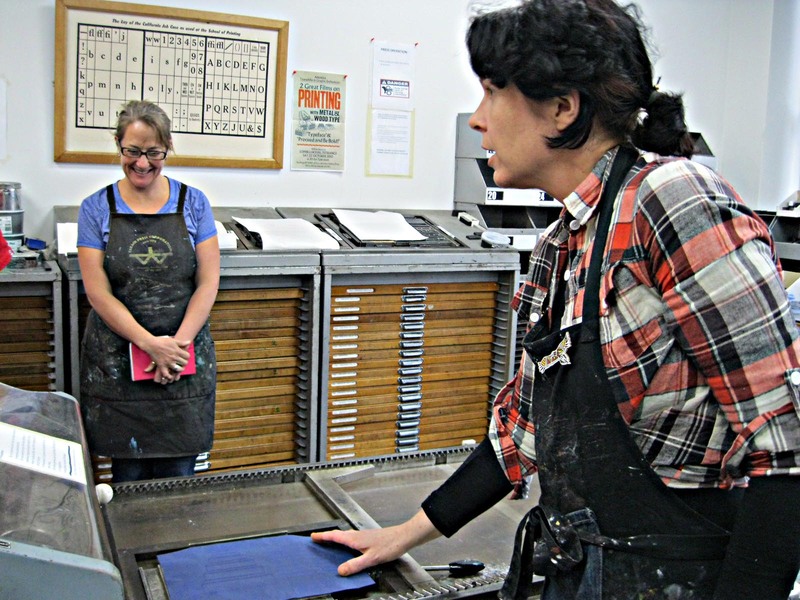 Toni and resident print maker Kate in the letterpress room. 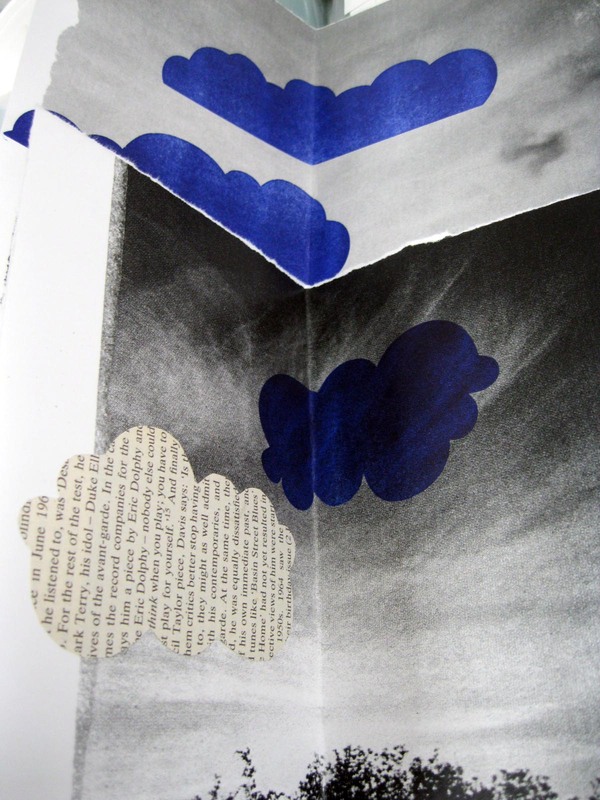 Veronique, an experienced binder from Northland, New Zealand, completed a pamphlet book about clouds using altered text, embossing, mono prints, collage and calligraphy – the first book she has made using her own content. 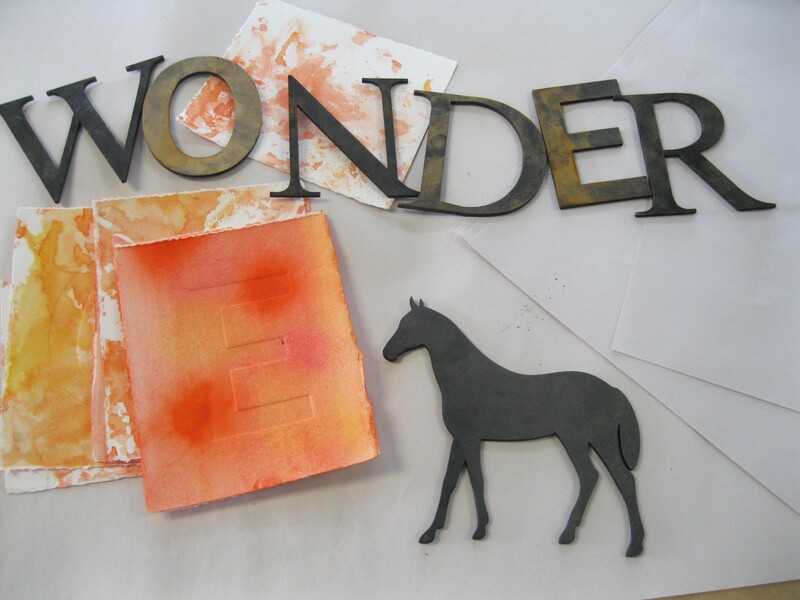 Other participants generated and assembled elements in print, embossing, text and collage to use in future books. Detail from Veronique’s book about clouds. It was such an enjoyable and productive session that plans are underway to run future ABC workshops in the Print Room next year. 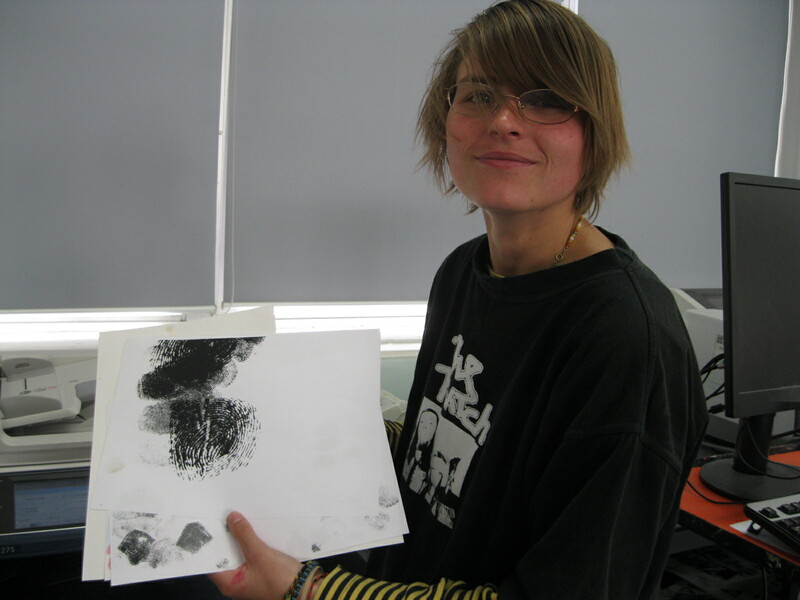 Many thanks to senior AUT lecturer and book artist Lesley Kaiser and print maker/ technician Kate Zizys for their generosity and expertise. This entry was posted on November 16, 2014 by creativemarama2 in Altered books, Art, Bookmaking, Journals, My Blog, My Workshops, Poetry, Print making and tagged auckland, book arts conference, Dominic Riley, Julie Chen, Lesley Kaiser, NZ Association of Book Crafts, wooden type.